To begin with: “Charges and Specs” was a near-perfect season finale. It felt like a pay-off of everything that had come before, it gave every member of the ensemble a chance to shine, it had big character moments, and it was hysterically funny. 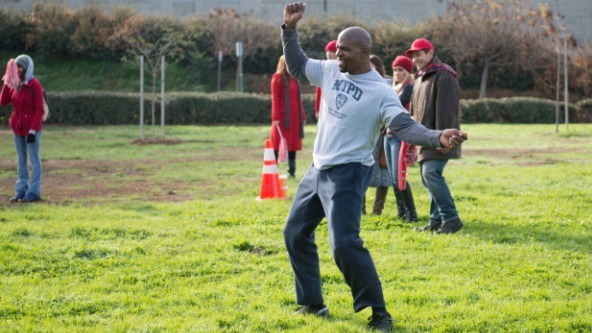 Over the course of its first season, Brooklyn Nine-Nine has been on a massive upward trajectory, and in “Charges and Specs,” it cements itself as one of the best comedies on television. The episode tracks Jake as he tries to take down corrupt philanthropist Lucas Wint, and seemingly loses everything in the process. 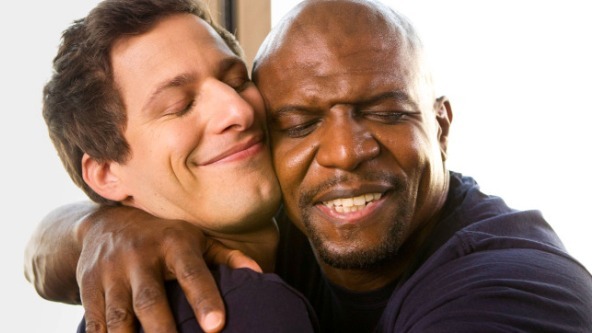 At first, it seems like the episode will be about yet another conflict between Holt and Peralta, but instead, the two team up, with an assist from Santiago, to prove Wint’s corruption with a combination of a thrift store shopping spree and an undercover infiltration of a ballroom dancing competition. What follows is a long parade of gags that show just how far these characters, and these actors, have come this season. Even Samberg’s most physical moment, when he prances in front of Santiago and Holt at the thrift store, feels under-played by Samberg’s previous standards, and much funnier as a result. 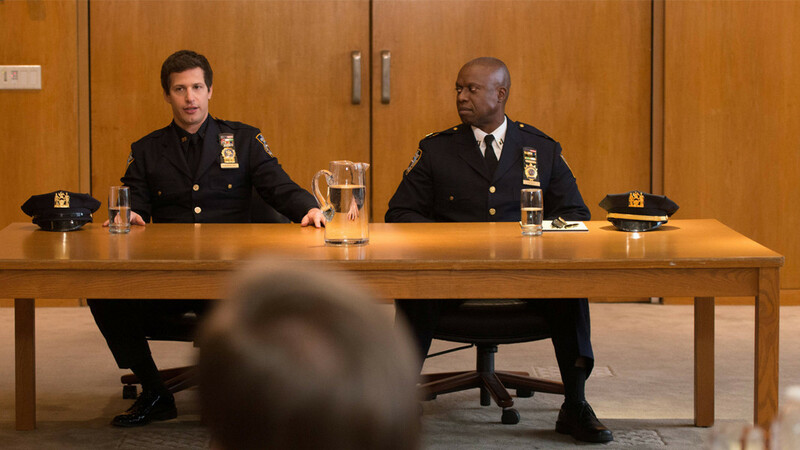 Then there is Andre Braugher, who continues to be just about the best comedic performance on television right now. 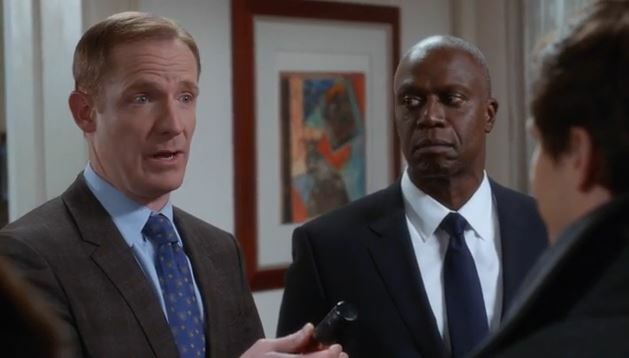 Seriously, if Braugher doesn’t win an Emmy for Best Supporting Actor this fall, the Emmys are functionally worthless (which, of course, they pretty much are). From his casual “Wassup” as he seduced the judge to his dancing skills, this was another tour-de-force half hour for him in a season full of them. 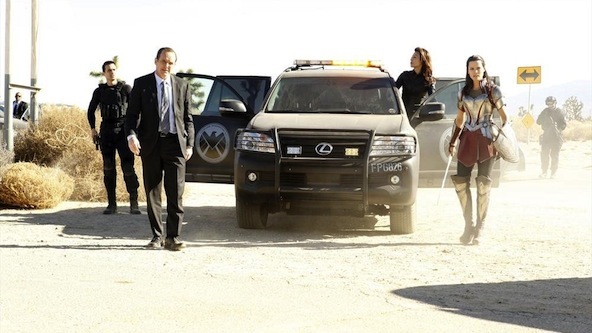 While those three work to expose Wint, Gina, Diaz, and Terry work to help Boyle get over his break-up with Vivian. This breakup comes literally out of nowhere (a shame, since the show had Marilu Henner around long enough to make this more organic), but because it was narratively inevitable, the rush didn’t bother me as much as it might have. It also let us see Boyle at his darkest, dressed like he was from The Matrix and eating only hardboiled eggs out of a plastic bag he calls his “Egg sac.” We watch as Boyle scalds himself trying to burn all of Vivian’s things with Diaz, and then hits himself in the testicles trying to smash plates with Terry. Basically, this lets every one of the supporting characters shine, and reaffirms the bonds between all of them. Near the end of the episode, Rosa admits that she has never been hurt like Boyle because she’s never dated a good guy, like Boyle. This moment rang a little hollow for me, not because I don’t buy that Rosa and Boyle have grown closer, but because it seemed a little vulnerable for Rosa, and a little quickly for her to open up like this. When the episode ended with Boyle waking up in bed, I worried the show was taking a huge leap forward haphazardly, but then we see that Boyle and Gina slept together. Which, ok, cannot wait to see the fallout of this one next season. 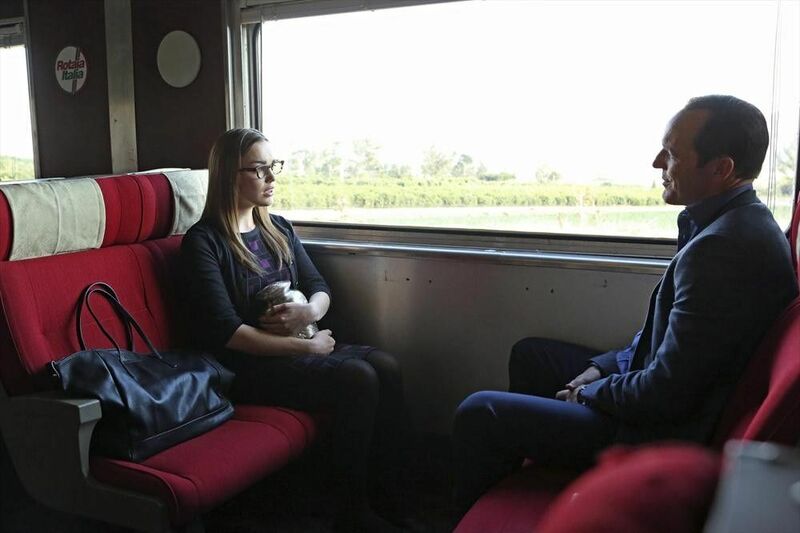 The other major relationship got a much more satisfying moment in the finale, as Jake comes clean to Amy about his feelings, in a way that reflects his growing maturation. He doesn’t ask her to be with him, nor to leave Teddy. He just tells her he is about to do something dangerous, and before he goes she should know he wanted something to happen between them. It doesn’t feel forced. It doesn’t feel like a “finale” moment to give us a big emotional payoff or a cliffhanger. It just feels like a natural outgrowth of Jake’s growing feelings for Amy. It just works. So Jake goes undercover for the FBI, to bring down a crime family Wint is laundering money for. And the rest of the Nine-Nine celebrates his temporary departure, even as he must pretend to burn all of his bridges on the way out. 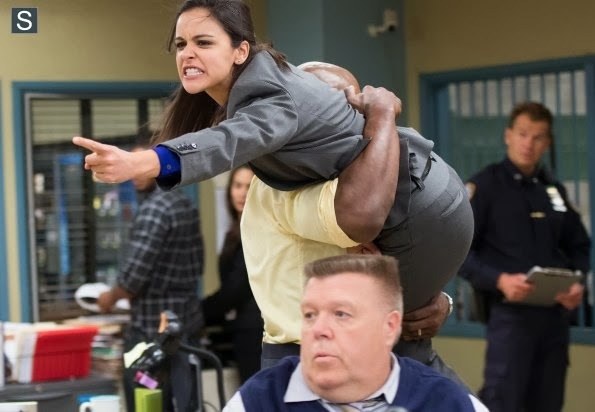 I have no idea where this undercover plotline is going, and most of me hopes it is just over when season two begins, but at this point, Brooklyn Nine-Nine has earned a little leeway from me. This show has gone from solid to great in the back half of this first season, and frankly? I can’t wait for more.